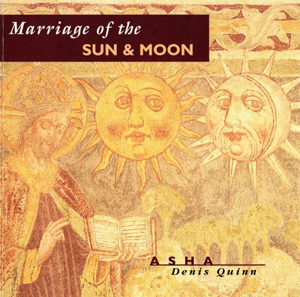 Asher's final album co-produced with Phil Thornton for New World Music, recorded in 1995. A decade later, and more, they would work together again on High Planes Music and Songs of Love and Chains for Asher's own company. This album is predominantly instrumental, apart from the title track which is a love song, a brief incantation, a chant and a brief lyric in some of the other tracks. The mood is vibrant and uplifting, exotic and hypnotic. Eventually deleted by New World, these tracks have now dispersed into compilation albums available through Singing Stone Music on this site. The download of the original is still available on the downloads page.